Real policy is not defensive short term emergency measures but something proactive spanning multiple years, and acting fast, local and through multiple agencies. New Delhi: Every Diwali, a billion people in India wake up to the news of smog-ridden cities in the aftermath of celebratory fireworks. And much like the hangover after a night of drinking, we promise ourselves, never again! ; that moderation will be the key next time around!, etc. Yet, we once again find ourselves in a similar (if worse) situation. And in 2016 again, a year after three infants challenged the Supreme Court to curb air pollution from firecrackers (one of the families has since migrated away from Delhi), we are faced with yet another hangover. For the first time, more than 1,800 schools have been closed in the national capital region in response to high pollution levels originating from a complex mix of emissions: from the Diwali fireworks burning, stubble burning in Indo-Gangetic states, wintertime meteorological changes and the ever-present urban emissions (vehicles, cooking, lighting, waste burning, industries and power plants). Starting with a bang during Diwali, the situation usually deteriorates till the height of winter. The question that usually follows is what we can do now. The short answer: literally nothing. Perhaps stay indoors with air filters (for those who can afford them) or, better yet, vote with your feet and move away. There is nothing that one can do in two or three weeks short of clamping down on every industry and power plant, banning vehicles from all streets and avoiding all fires for burning – for warmth or to rid of waste. That said, there are in fact measures that we can take over a medium to longer time-frame, especially if done with thought and sincerity, and that could begin to have an impact before Diwali in 2017. An earlier article spoke about the myths and the myopia of policymakers. Now, let’s take the long view, exemplified by the question: what is it that we can do to really make a difference in the coming years? These are real solutions that are not gimmicks and some of them are straightforward (which should not be confused for easy) and, more importantly, need some time to manifest their results over subsequent months and years. It is a basic human right to breathe clean air, so let’s discuss where we can start. 1. Public transportation has to improve – not notionally but in quality and quantity. Delhi needs at least 15,000 operational buses to support a clean, safe and reliable transport network. If we want car- and motorcycle-owners to abandon their vehicles and share a ride, then the city need to provide that opportunity. The Delhi Transport Corporation has a fleet of less than 6,000, and many of these are not in continuous operation because of constant breakdowns and repairs. The fleet until just size before the 2010 Commonwealth Games was 4,000. To compare, the total number of registered vehicles in 2010 was 6.75 million; at the end of 2015, it was 8.8 million. Over 5.65 lakh new vehicles enter the city every day. A recent report suggested that the city is not able to provide more depot space – the principal reason for not expanding the fleet. If officials are serious about curbing passenger-travel demand and demotorising the streets (which will also reduce road dust resuspension), then the city needs a significant boost in the number of buses. The depot capacity needs to be increased with rest areas for the operators and better maintenance services; integrated intelligent transport systems have to be introduced; incentives and discounts have to be provided for long-term passes; and an aggressive campaign needs to be launched to get people away from personal vehicles. 2. Support cycling and biking. The non-motorised transport profile in India is such that it is the poor that walk and the rich that use vehicles. This is a generalisation but also largely true. Accordingly, the political will to fund roads and flyovers outweighs that to maintain good quality pavements. This is very unfortunate because, with a functioning system, people from all walks will be able to cycle and walk recreationally. 3. Link parking fees with the air quality index. Upon the National Green Tribunal’s (NGT’s) order, the city banned the registration of diesel-engine-powered vehicles (for some time) and introduced an additional sales tax on diesel vehicles at the time of registration. Both the measures are applicable for newer vehicles only. The NGT also introduced an additional environmental tax for heavy-duty trucks entering the city; this does not include vehicles registered in Delhi and not crossing the border. The city also experimented with the odd-even concept (twice, for two weeks each time, with a number of exemptions) – which in turn is very dependent on a vigilant traffic police to be completely successful. These measures were introduced and tested for one reason: to discourage the use of personal transport. However, one measure that could be applicable for old/new vehicles, petrol/diesel/gas engines and all engine sizes is the parking fee. Delhi has the lowest parking fees (often Rs 10-20 per hour) in the world. What if, the parking fees were increased tenfold – especially during the days of high air pollution? Take the malls, for example: every car parked there has to go through a toll booth and, without excuse, has to pay. A fee-structure can be displayed outside the malls’ parking lots with that days’ air quality index (AQI). If the AQI is under 50 (green – very rare in Delhi), then parking is free. And as the AQI climbs, so does the fee. If the value is 500, then parking rate could just as well be Rs 500 per hour. Consider it a charge for spending time in the air-conditioned mall! Similarly, for those parking illegally, the towing fees should be increased further. 5. Use cleaner fuel in all vehicles. This is one intervention that has been addressed regularly, from the conversion of public transport buses, three-wheelers and a significant portion of four-wheelers to operate on compressed natural gas (CNG) – to mandating all the taxis run on CNG, and up until the introduction of Bharat-IV emissions and the introduction fuel norms in 2012. The new Auto Fuel Policy, proposed to standardise Bharat-VI emissions and fuel standards, kicks in in 2020. In the past, refineries and manufacturing companies have complied and adapted to the changes every time a new standard was passed. We can only assume that, in 2020, the automobile emissions will be that much lesser with the cleanest fuel possible today: the Bharat VI. This is a leapfrog effort and we have to wait for the adaption to trickle down to roads. 6. Improve garbage collection. Why is this so hard? Garbage burning was banned a long time ago but it continues to happen every day and everywhere. We also have very little understanding of how much is burnt. This is one sector that is completely under municipal control. We know that we need to collect and process garbage; we have an army of unrecognised people and ragpickers doing this for us. Why not pour in more resources, increase the number of garbage pickup trucks, integrate the collection and segregation process, legalise and provide benefits to ragpickers, and set up a system where every kilogram of waste is picked up? 7. The city needs heating solutions. The burning of garbage, along with coal, wood and almost anything else, more than quadruples in incidence when the winter temperatures approach their nadir (between late November and late February). The need for heat is the highest among those living in the open, including workers at construction sites, markets, small kiosks, guards and people living in slums. We worry about Diwali, a two- or three-day affair; about the stubble burning in the north, a two- or three-week affair. However, the need for heat is a three- or four-month affair for the entire capital region (and beyond) – a daily, local emission source in a time of low inversion. According to a study commissioned by the Delhi Pollution Control Committee in 2015, burning biomass contributes twice as much to wintertime pollution as to that in summertime – and that this is completely linked to the heating demand. This is not an easy source to address since it is, in reality, also a social justice and economic issue. At the same time, it needs immediate attention. 8. Adoption of cleaner technology for industries. These industries include food processing, textiles, leather works, wood processing, pharmaceuticals, plastics and paints and metal processing – using a mix of coal, oil, gas and electricity. With an increase in the reliability of grid electricity and performance ratings issued by the Bureau of Energy Efficiency, emissions from these industries can be managed. However, a large chunk of industrial emissions also come from brick kilns. Administratively, there are no brick kilns in Delhi. In the late 1990s, when CNG was being introduced in Delhi, a parallel ordinance was passed to relocate all brick kilns away from Delhi. They crossed the border but the pollution never went away. There are at least a 1,000 brick kilns within a 50-km radius of the city. These are seasonal kilns that start their operations post-monsoon (in October) and go on till May. The bricks are burnt using the same old way: by shoving a mix of agricultural residue, coal, heavy oil (like tar) and, at times, wood into the brick stacks and rotating the piles every 10 to 14 days. All of them have a 50-foot stack that disperses pollution to farther distances, which means the 200 stacks in and around Ghaziabad are polluting the air somewhere in Delhi. 9. A no-cracker Diwali. Even if the festival is for three days at best, the exposure levels when the crackers burn are one of the highest during the season. A campaign to ban the burning of crackers cannot start a week before the festival nor on the eve of the festival, asking people to restrain themselves. This campaign need to happen all year long and needs to be well-planned. It needs to raise awareness about the health impacts of burning crackers, and has to represent a political will to ban the sale of crackers everywhere in the state and apprehend any illegal importers from other states. In October 2015, the Supreme Court quashed a plea made by the three toddlers to ban the bursting of crackers during Diwali. The court said it “cannot stop people from bursting crackers”. Can the state then ban the sale of crackers? Or can it replace their uncontrolled sale with a permit system, just like for liquor, and introduce a significant environment tax to discourage people from buying them? 10. Find a solution for stubble burning. This is another seasonal problem. The burnings are intense for 15 or 20 days in the Indo-Gangetic states, spewing a mix of aerosols (including black carbon and organic carbon) and gases (carbon monoxide, volatile organic compounds and nitrogen oxides, ozone, etc.). These episodes have the potential to tilt the average AQI from the typical unhealthy to hazardous. We know that stubble burning will happen and yet we wait for the harvest season to begin and then point fingers at Punjab and Haryana for the consequent haze. This cannot be controlled after it starts. This has to be stopped at the roots – even before the farmers start to think about it. This is not an easy task and needs cooperation between the agricultural departments of Delhi, Punjab, Haryana and Uttar Pradesh, apart from an awareness program aimed at farmers on the harmful consequences of this aged custom. There also needs to be an incentive program for farmers that addresses their concerns and reasons for stubble burning; and an incentive program and technical support for the industries that can collect the stubble and burn it in a controlled environment. 11. Clean power generation. The power plants within Delhi’s administrative boundaries run on natural gas but the power plants tasked with supplying for the growing demand run on coal, most of them within 200 km of the city (in Haryana and Uttar Pradesh). During shortages, this demand is supplemented by diesel generator sets, often seen next to the telecom towers, malls, cinema halls, big apartment complexes, institutions and kiosks. In December 2015, new emission regulations were passed for all coal-fired thermal power plants, tightening the standards for particulate matter and introducing standards for sulphur dioxide, nitrogen oxides and mercury emissions. The deadline for compliance was set for December, 2017. If this happens, we can expect a minimum 50% drop in the total emissions from the plants and the associated ambient air pollution. However, a new lobby, led by the Central Electrical Authority, has been trying to push this deadline. As long as power-generation is dominated by coal and diesel, any delay in full implementation of the new multi-pollutant emission standards at power plants will only prolong our fight for breathing clean air in India. 12. Enforce construction debris norms. Delhi and many other cities in India are like massive construction sites, and the accompanying dust levels are very high. Though we have all the right norms in place – such as, for example, that sites should be covered with a tarpaulin sheet to prevent the spread of dust – in practice, these norms are often violated. The trucks carrying debris from construction sites are often not covered either. This leads to fallen debris on the roads and furthers resuspension when other vehicles pass by. 13. Address governance issues. Every time there is an episode of high pollution, we are looking for someone to blame. In November 2016, we are looking at Punjab and Haryana and their inability to control stubble-burning. At the same time, Delhi didn’t take any serious measures to control the sale of Diwali crackers and didn’t have any measures in place to counter the effects of local emission sources. Multiple agencies are responsible for different sectors to address concerns and mitigate emissions. In practice, this means that no single agency is willing to take responsibility to address the root causes of air pollution as a whole. Enforcement is negligible. It is difficult but not impossible. This requires a commitment that needs to cross over the usual electoral cycles, needs parties and governments to work together and is not something that one party, one agency or one civil-society group can achieve in isolation. It has to be a joint effort to improve the life of every person. For this, we need an independent body with teeth to clamp down on offending actors across states. And unless we start now and find ways to address air pollution in the long term, we will be unsuccessful in having any meaningful impact in the coming years. Real policy is not short term emergency measures that are defensive in nature. We need a proactive policy spanning multiple years, and we need to act fast, local and through multiple agencies across multiple political parties to take the long view on air pollution in Delhi. 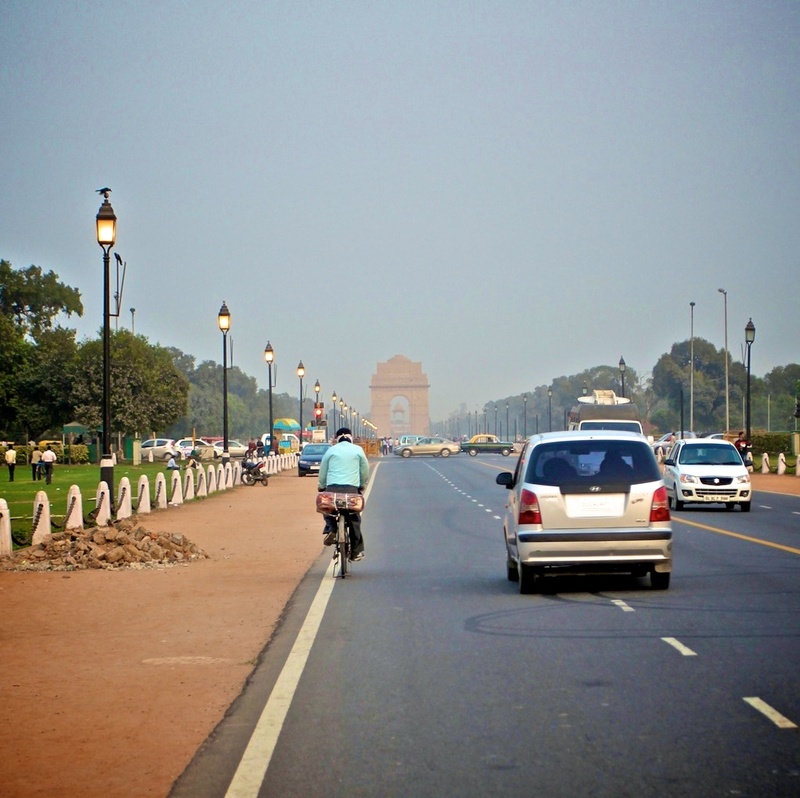 Sarath Guttikunda is the director of Urban Emissions (India), an independent research group on air pollution disseminating air quality forecasts for 640 districts in India.